Terrence Malick is so revered and respected that even such great directors as David Fincher and Christopher Nolan cite him as one of their inspirations in filmmaking. Fox Searchlight even managed to get the latter directors on camera to briefly discuss their feelings on Malick to promote the release of his new film, 'The Tree Of Life'. Watch the featurette below. 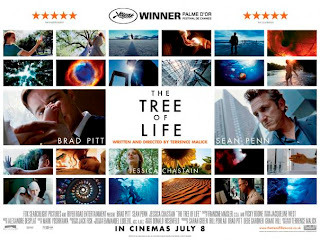 'The Tree Of Life' is currently on limited release in the US and stars Brad Pitt, Sean Penn and Jessica Chastain in what appears to be an existential journey - this is a film that I don't want to know too much about before viewing, and I suggest you follow a similar path. 'The Tree Of Life' is due for release in the UK on 8 July.